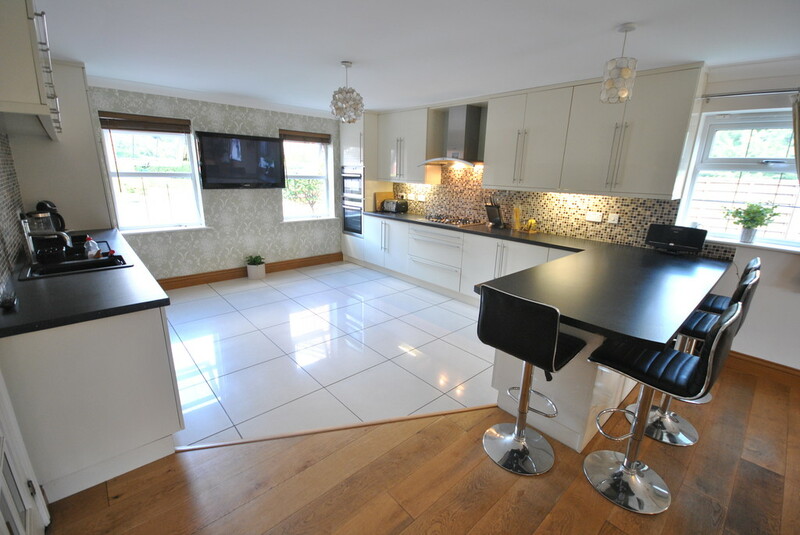 The Judges House, a superb luxury five bedroom detached family home, built by the highly regarded Mell Builders, situated on this private and exclusive Foxwood Grove development, off Thorne Road. 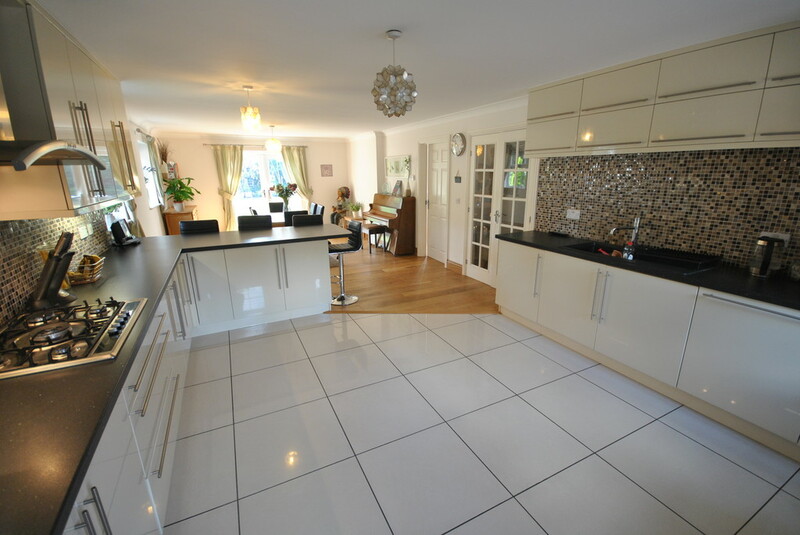 Having quality fixtures and fittings, making a wonderful family home, close to the highly regarded Hunger Hill School. 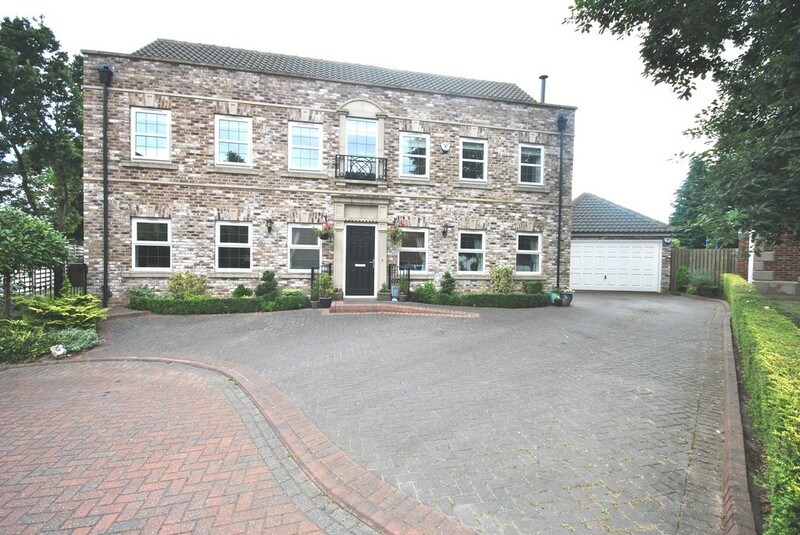 This imposing Georgian style residence looks stunning with external stone mullions and upvc sash style windows, beautifully presented gardens and standing in a prominent position. 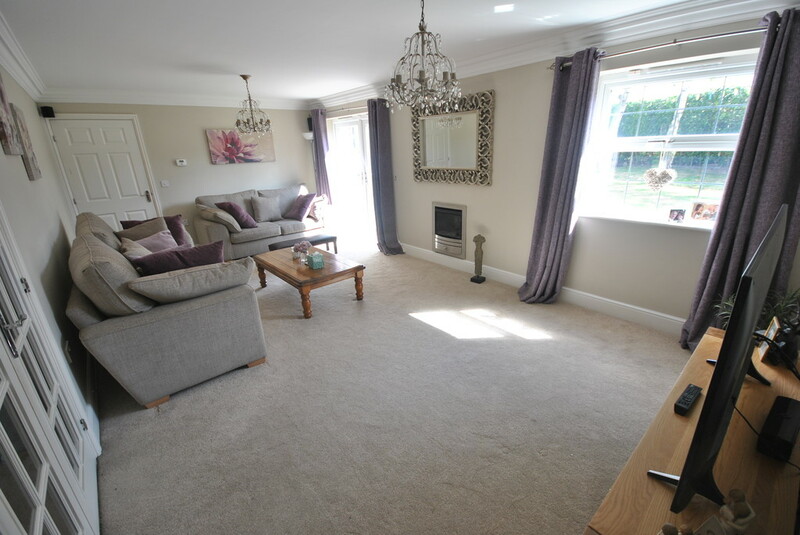 Inside it gets better with spacious rooms, superb specification and a high standard of presentation throughout. The accommodation is certainly worthy of an inspection and comprises of a beautiful open plan entrance hall with a staircase and balustrades rising to a galleried landing, to the side is a sitting room with engineered Oak flooring with under floor heating and a stylish multi fuel burning stove, a modern 2 piece ground floor w.c., a stunning and impressive open breakfast kitchen family room with high gloss wall and base units with built in Neff appliances, under floor heating, and French doors lead to the patio and rear gardens, a spacious lounge with French doors to the patio seating area. 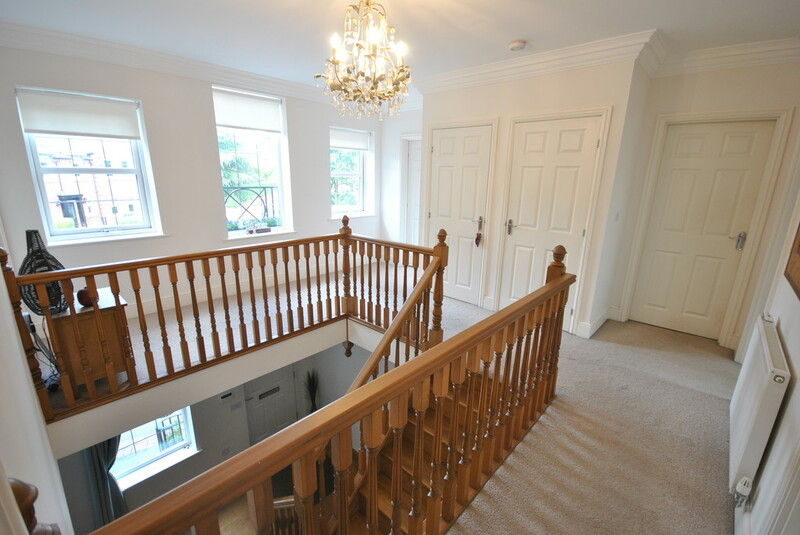 A gorgeous galleried landing with three front facing upvc double glazed windows with remote control blinds, five spacious bedrooms, two ensuites and a four piece family bathroom. This beautifully presented luxury home stands in a prominent position within this highly exclusive and regarded development within Foxwood Grove. 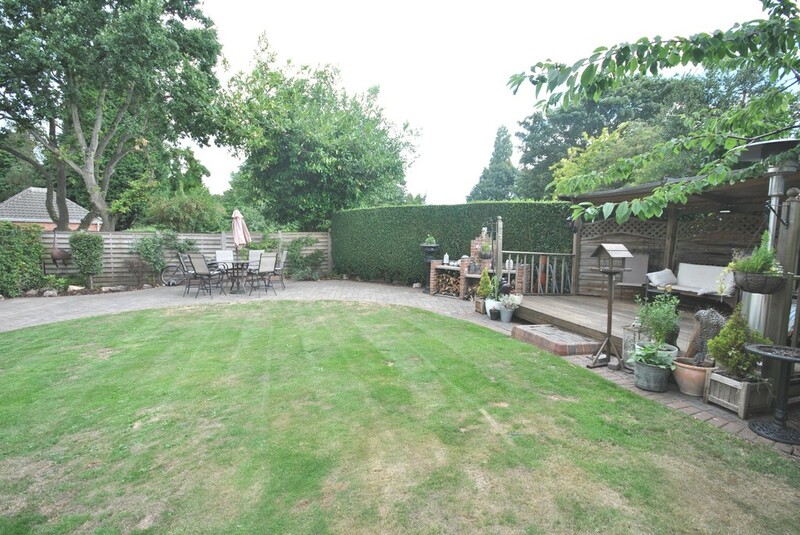 This prominent position looks towards the head of the cul-de-sac and has an open plan front garden with beautiful flowering shrubs and shaped trees. 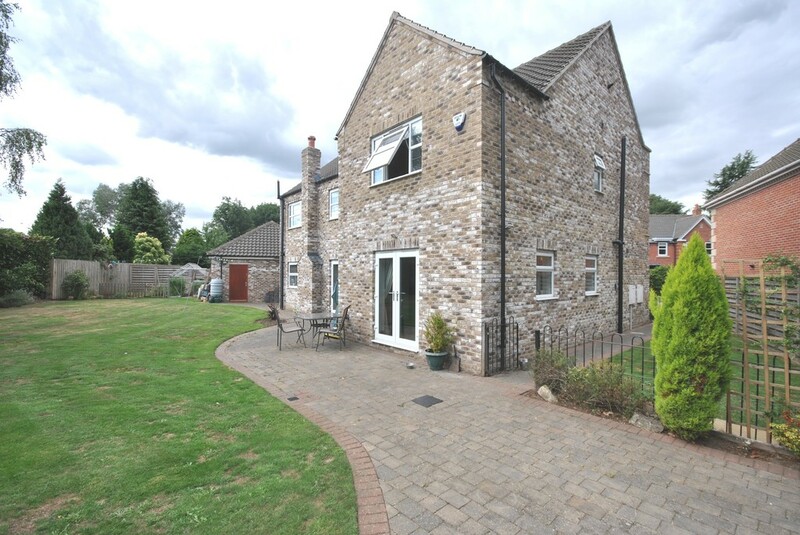 A large block paved driveway provides excellent off road parking, with access to a double garage. 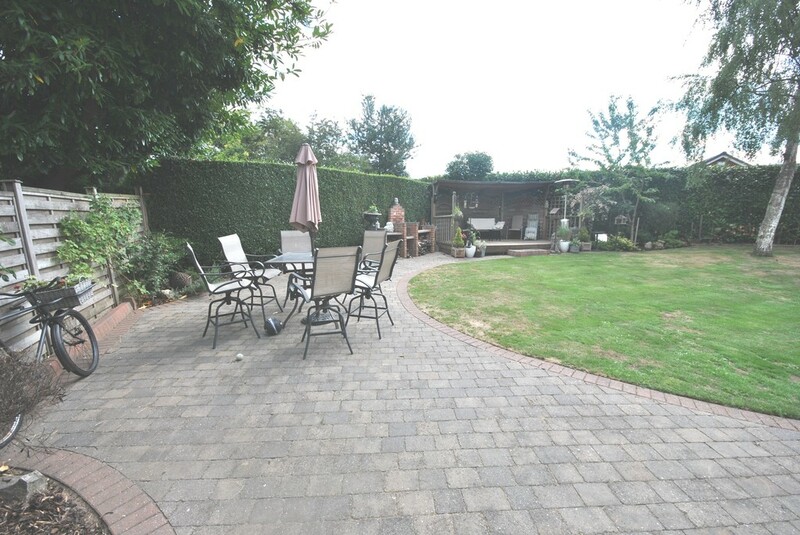 There is gated access to the either side of the property, leading to a stunning and fully enclosed rear garden, ideal for a growing family and outdoor entertaining. 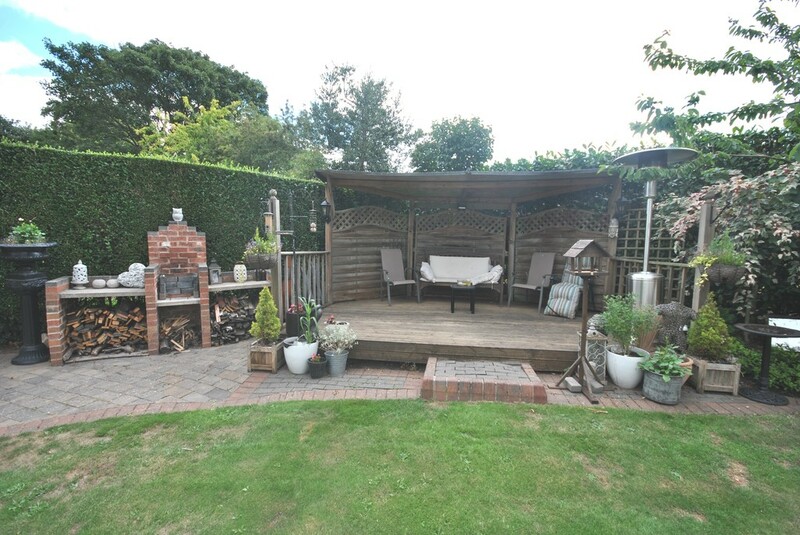 Having a large shaped lawn with borders full of shrubs and small trees, various patio seating areas, BBQ and log store, decking area, and allotment. 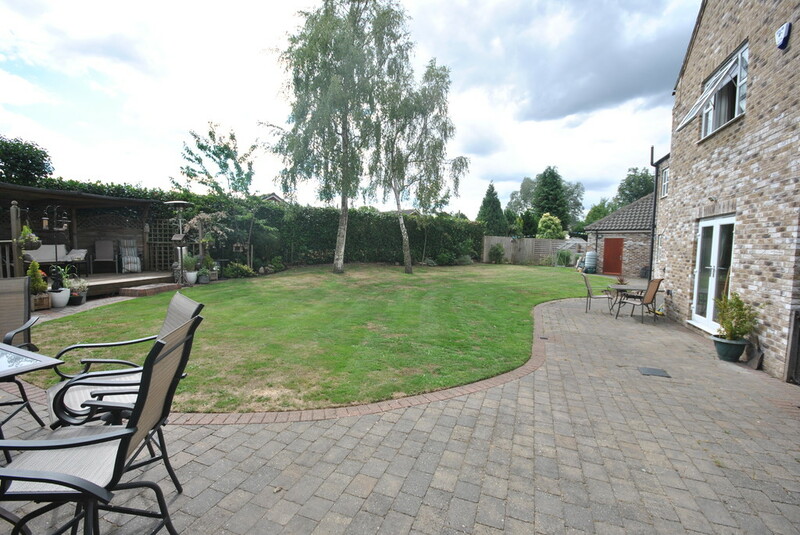 This beautifully presented rear garden has a good level of privacy and will impress any guest. 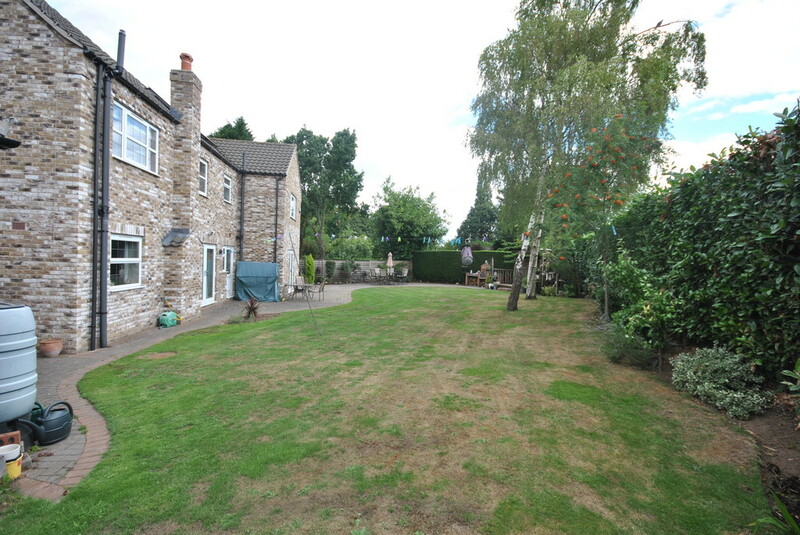 The popular residential area of Edenthorpe is approximately 3 miles north-east of Doncaster town centre. 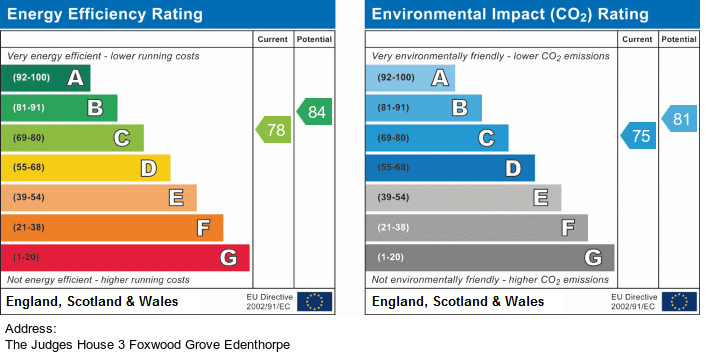 Edenthorpe benefits from both Sainsburys and Tescos supermarkets, as well as a host of other local shops, village pubs and amenities, and is within close walking distance of the highly regarded Hunger Hill School, and regular bus routes. There is excellent access to the M18 at junction 4, which opens up many other regional areas within comfortable commuting distance. Driving from Doncaster town centre along Thorne Road, proceed straight across the DRI traffic lights, taking the right hand fork at the Wheatley Hotel roundabout, continuing along Thorne Road, following the signs for the M18, and at the roundabout proceed straight over, travelling to Edenthorpe. 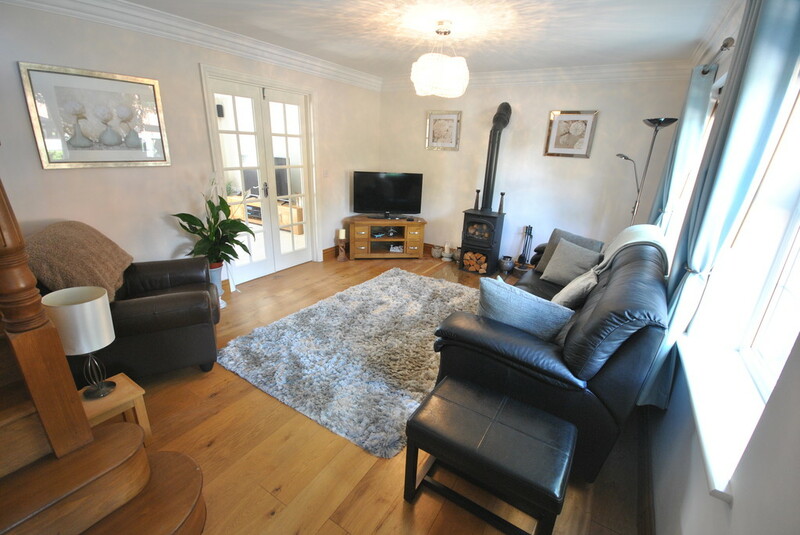 The exclusive Foxwood Grove is situated on the right hand side turning after Lyndale Avenue. 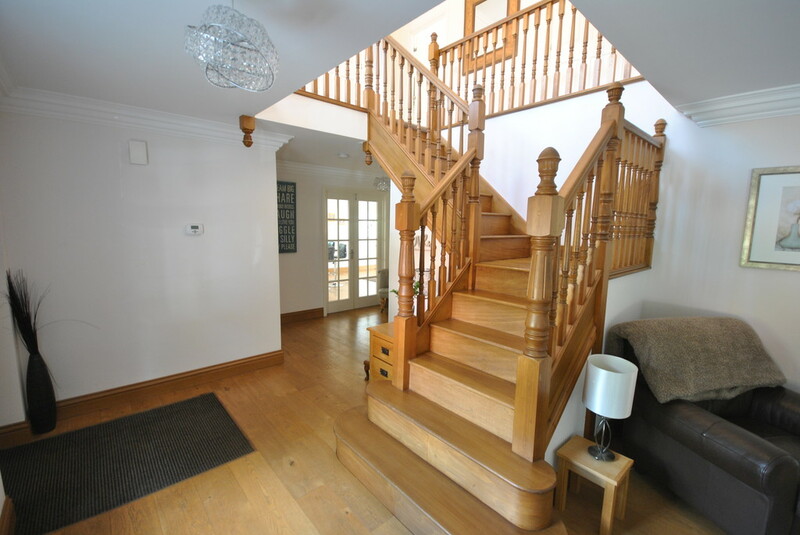 ENTRANCE HALL AND SITTING ROOM A beautiful open plan entrance hall having a stunning turning staircase leading to a large galleried landing. 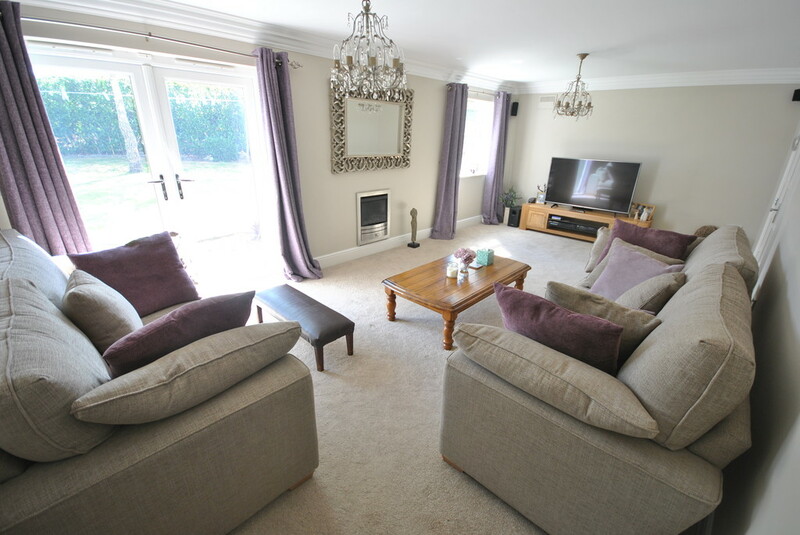 To the side is a charming sitting room with plenty of natural light from three upvc double glazed sash style windows. 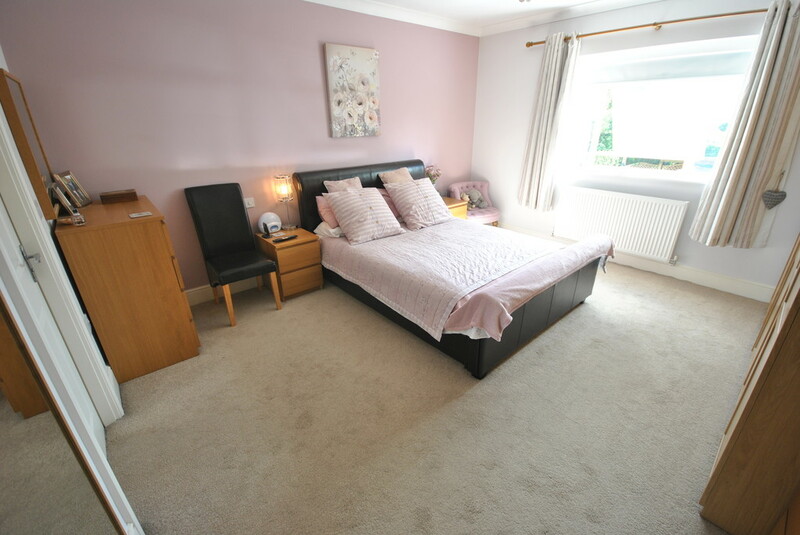 The room benefits from engineered Oak flooring with under floor heating. There is an attractive multi fuel burning stove for cosy winter nights, various power sockets, t.v. 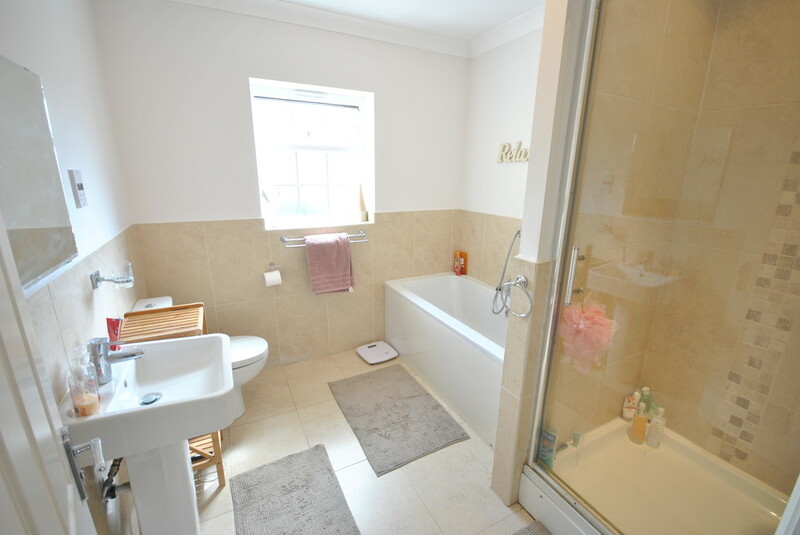 aerial point, and doors leading to the lounge, cloakroom w.c., kitchen and a useful storage cupboard. 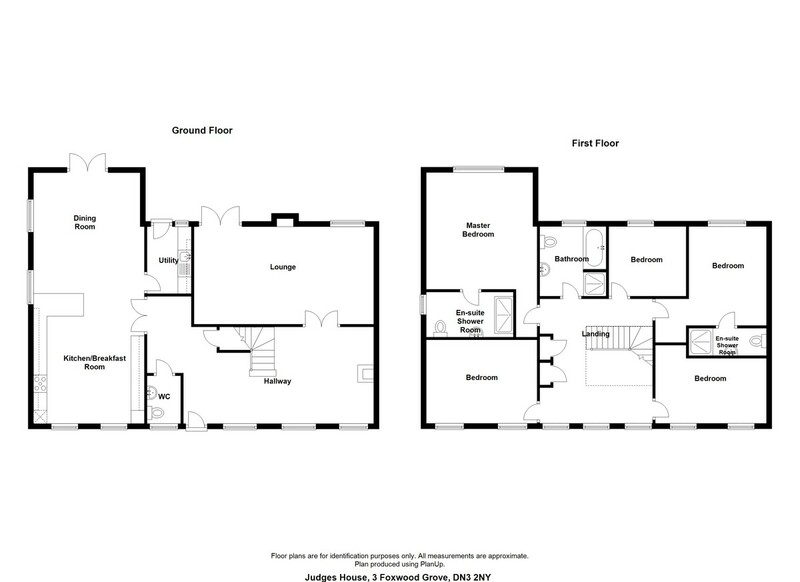 BREAKFAST KITCHEN/FAMILY ROOM 30' 4" x 13' 5" (9.25m x 4.09m) An extremely spacious open plan living area, superb for entertaining and family time, having a stunning gloss cream kitchen at one end with contrasting dark grey worktops and breakfast bar, with an integrated Neff double oven, Neff five ring gas hob and stylish Neff extractor fan hood, Neff dishwasher, fridge freezer, all complemented with stylish mosaic wall tiles, under lighting and engineered Oak flooring with under floor heating. 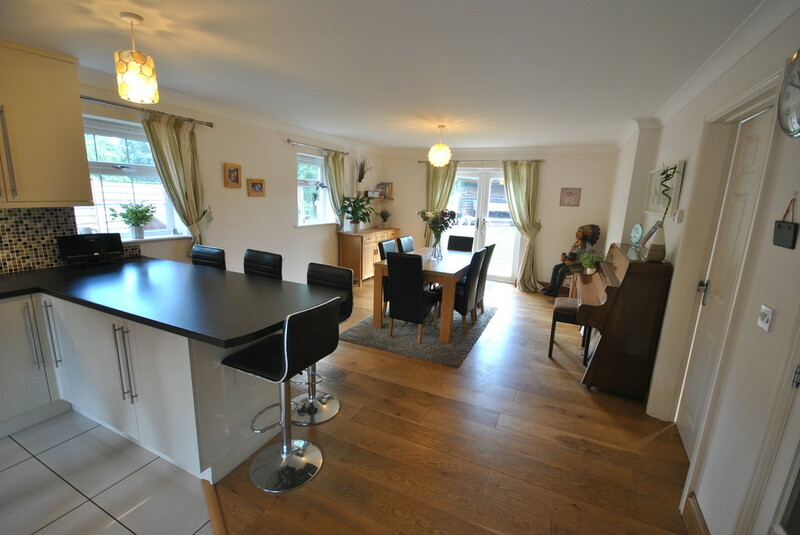 At the family end of the room there is space for a dining table, sofas etc with large ceramic floor tiles with under floor heating and French upvc doors leading to an outdoor patio seating area. An further door leads to the utility room. 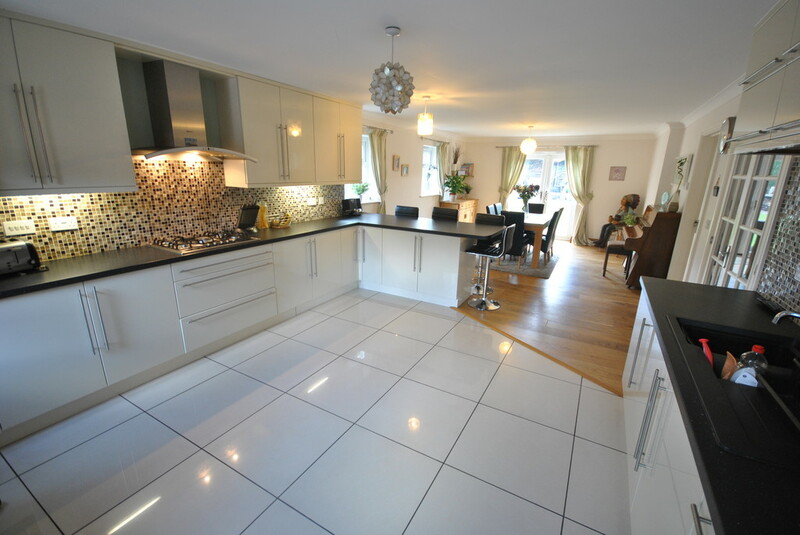 UTILITY ROOM Having wall and base units matching the kitchen finished in gloss cream with contrasting dark grey worktops. There is a stainless steel wash bowl with drainer and chrome mixer tap, space and provisions for a washing machine and spin drier. A wall mounted thermostat control, various power sockets, extractor fan, engineered Oak flooring with under floor heating, and a glazed upvc door leads to the rear garden. 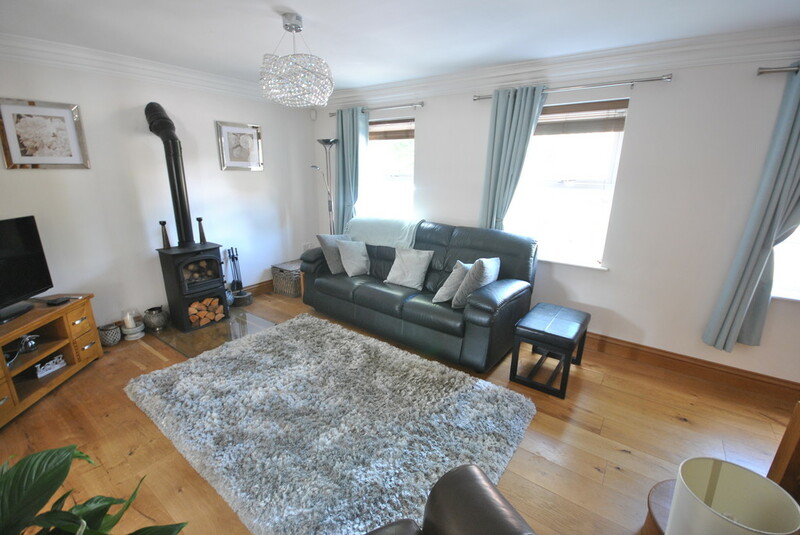 LOUNGE 21' 8" x 11' 10" (6.6m x 3.61m) A spacious and bright lounge with a rear facing upvc double glazed window offering pleasant views over the rear gardens. Upvc double glazed French doors lead to a patio seating area and rear garden, with a stylish wall mounted coal effect gas fire, t.v. aerial point, various power sockets, under floor heating and decorative coving complements the ceiling. CLOAKROOM W.C. 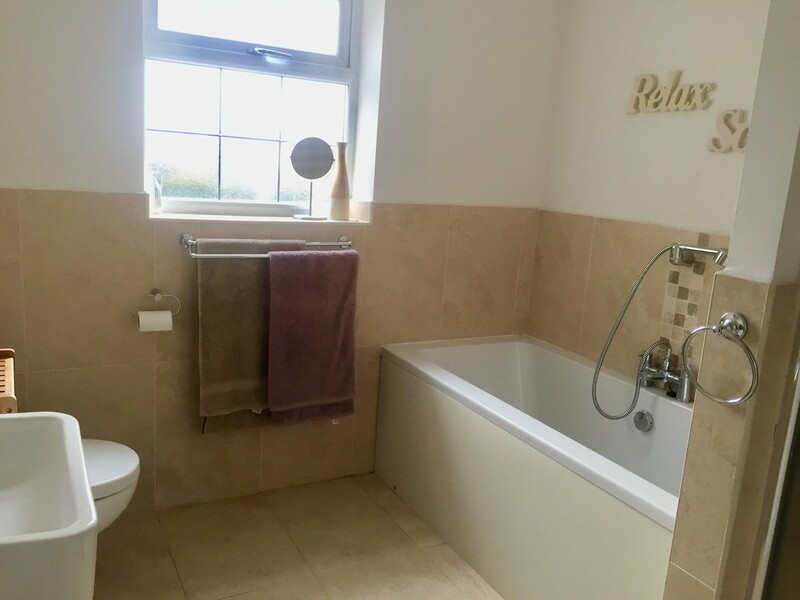 Leading off from the grand entrance hall, having upvc double glazed obscure window, low flush w.c. hand wash basin with pedestal and chrome mixer tap. Under floor heating with engineered Oak floor. 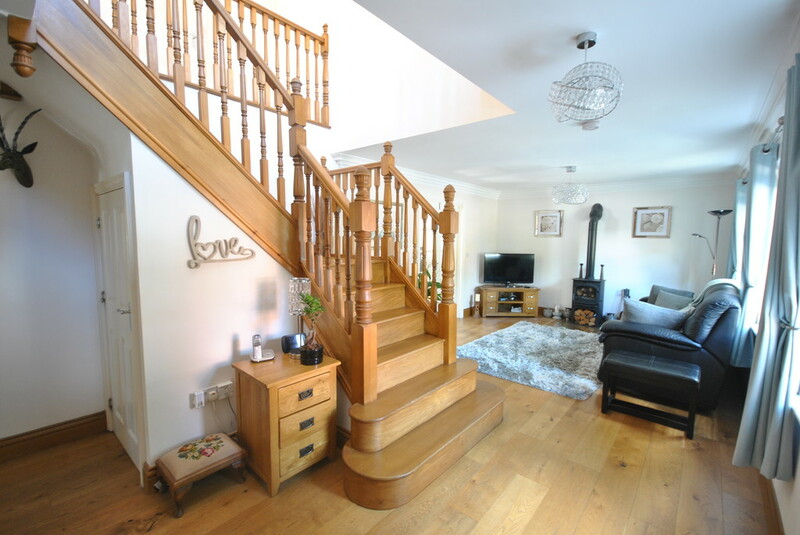 GALLERIED LANDING A truly stunning feature to this family home is this galleried landing with a solid wood turning staircase with spindles and handrails. 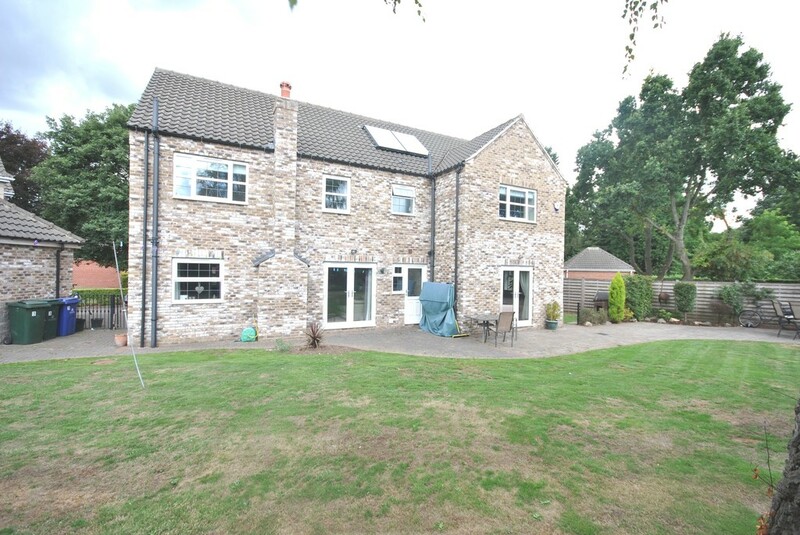 Having a large front facing Georgian style window with sash style windows either side with remote control electric blinds. 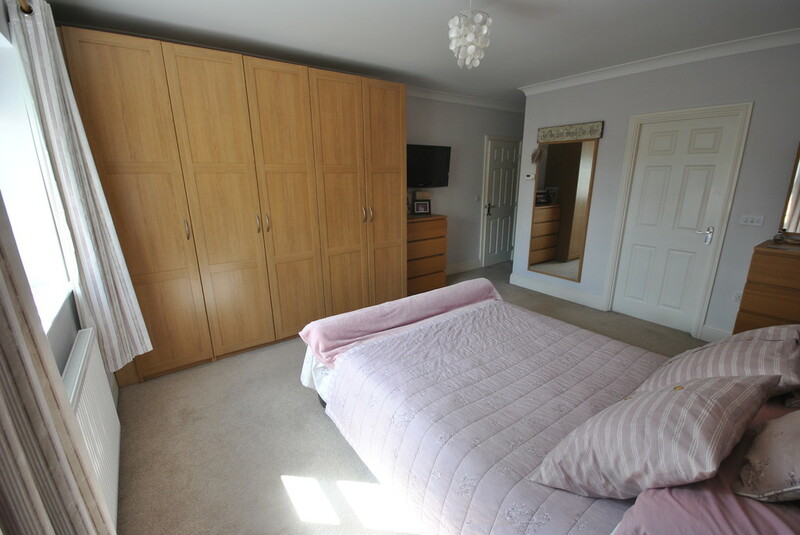 Doors lead to all four bedrooms, family bathroom, and two useful storage cupboards offering shelving and hanging rails. 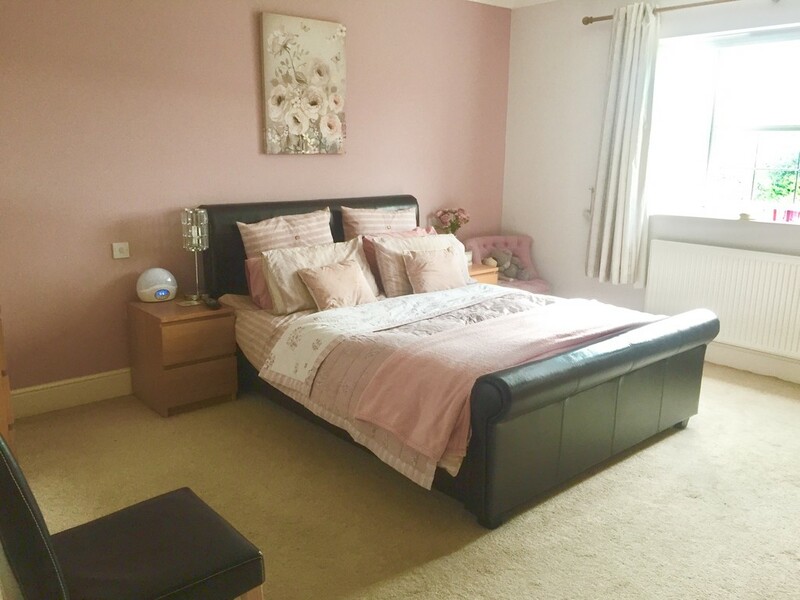 MASTER BEDROOM 14' 5" x 13' 6" (4.39m x 4.11m) A generously sized master bedroom with a upvc double glazed window offering excellent views over the rear garden. 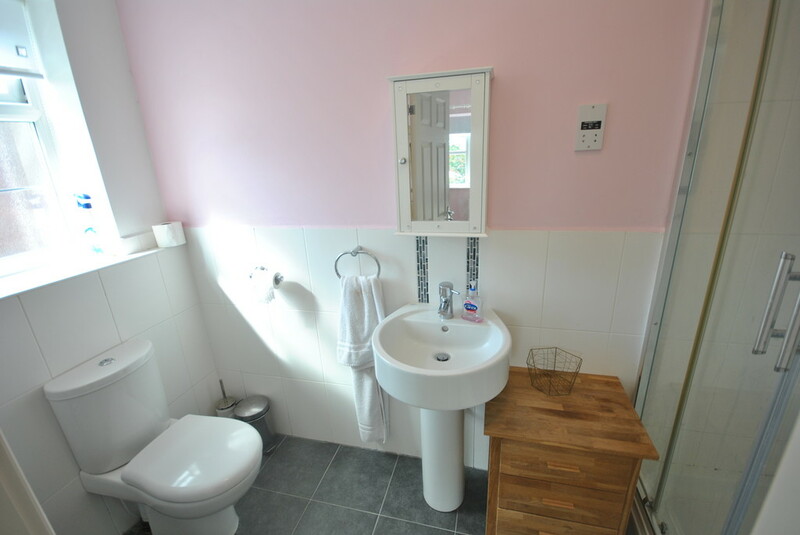 Having a large radiator, various power sockets, provisions for a wall mounted television, space for wardrobes and dressing table and a door leads to a spacious ensuite. ENSUITE A large ensuite shower room, designed with Travertine style ceramic wall tiles with a feature mosaic style border and contrasting floor tiles. Large mains fed shower cubicle with chrome fittings, matching low flush w.c. and hand wash basin with pedestal and chrome mixer tap. Chrome heated towel rail, shaving point and a upvc double glazed obscure window. 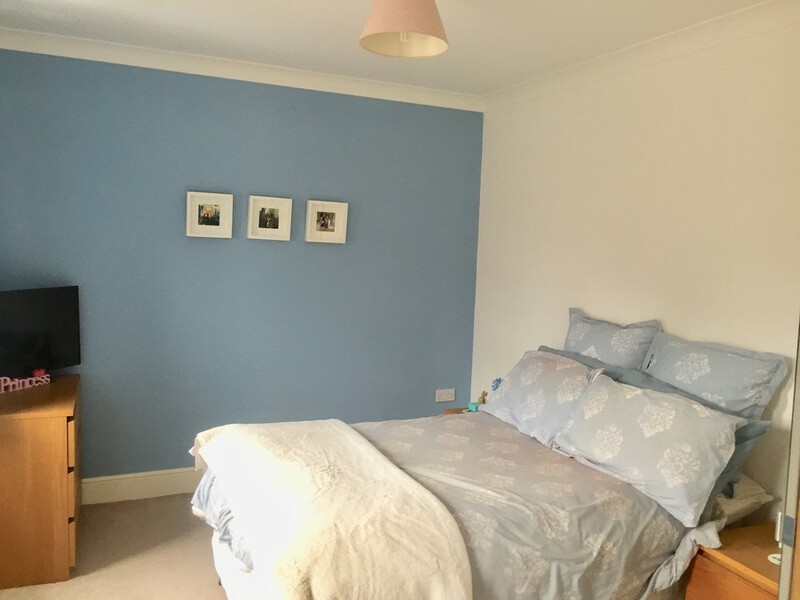 A rear facing double bedroom having space for wardrobes, various power sockets, t.v. 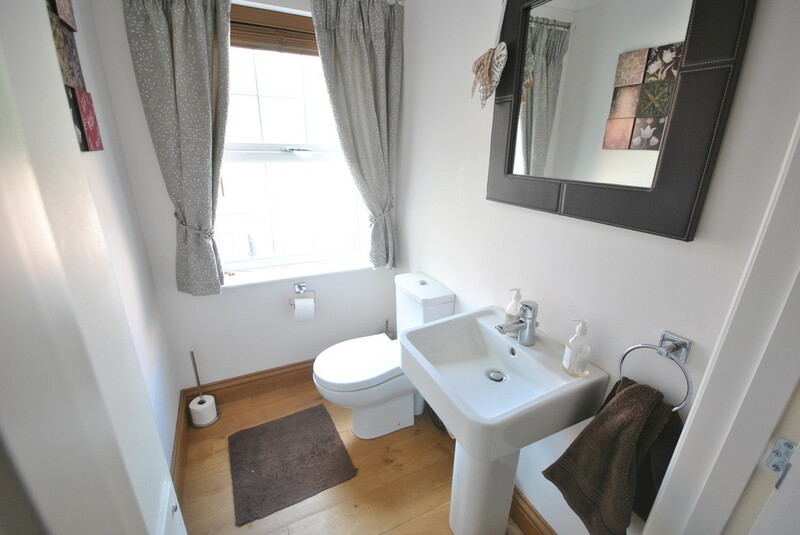 aerial point, radiator with thermostat control, upvc double glazed rear window, and coving complements the ceiling. 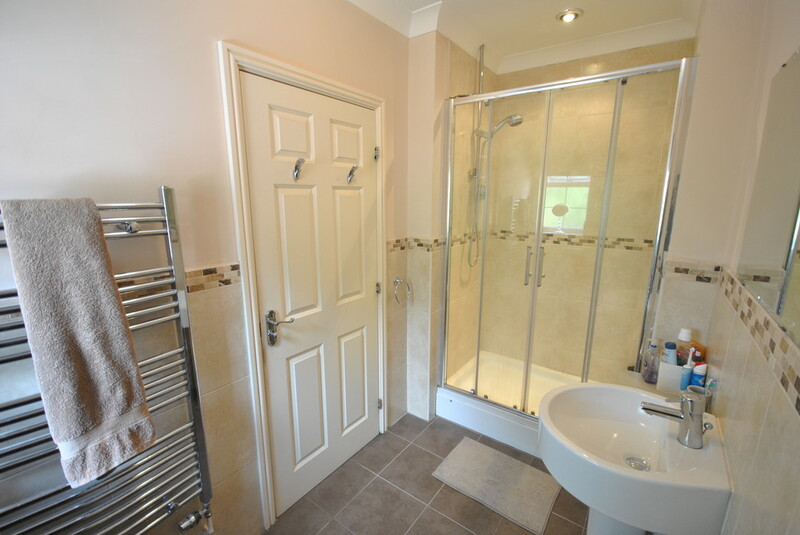 A further door leads to the ensuite. ENSUITE A contemporary ensuite featuring a mains fed shower cubicle with chrome fittings, low flush w.c. a round hand wash basin with pedestal, and chrome mixer tap, heated towel rail, shaver point, ceramic wall and floor tiles, and a upvc double glazed obscure window. 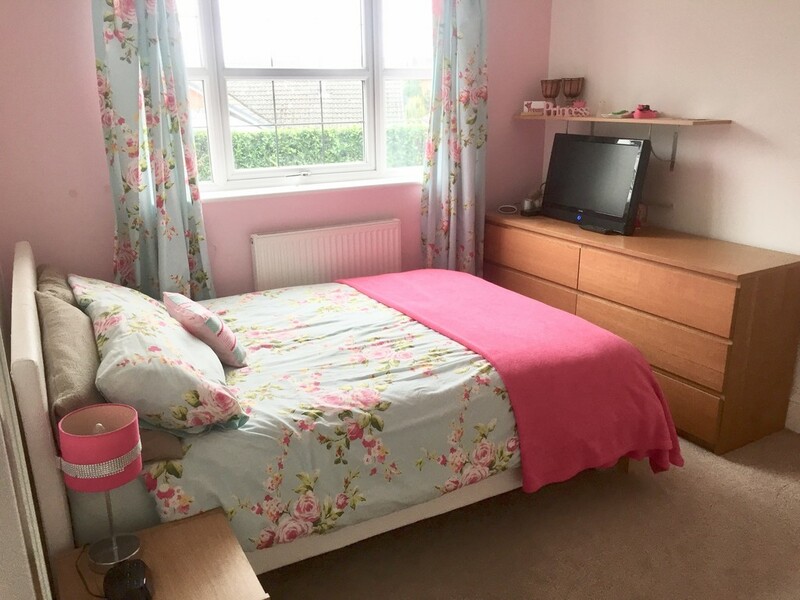 BEDROOM 3 13' 6" x 10' 2" (4.11m x 3.1m) A front facing double bedroom benefiting from a pleasant outlook from two upvc double glazed windows, having a radiator with thermostat control, a good selection of double power sockets, t.v. aerial point, and loft access to the ceiling. 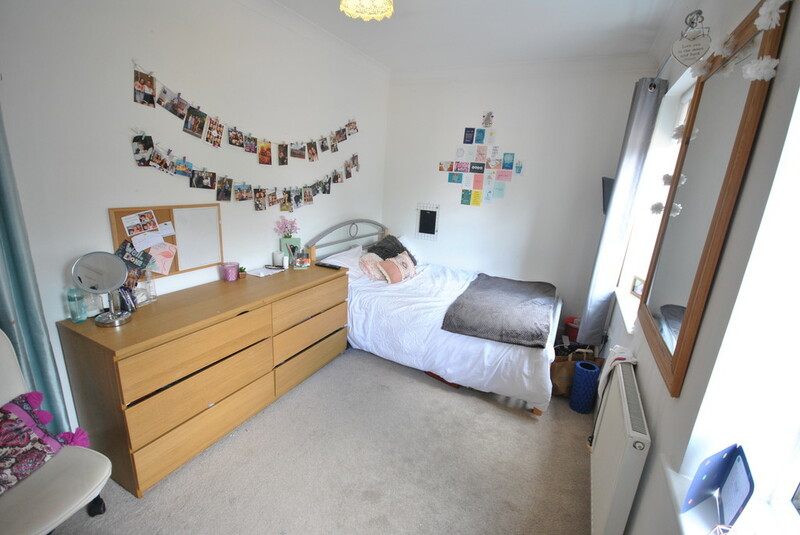 BEDROOM 4 13' 2" x 7' 11" (4.01m x 2.41m) A fourth double bedroom situated at the front of the property with two upvc double glazed windows, various power sockets, t.v. 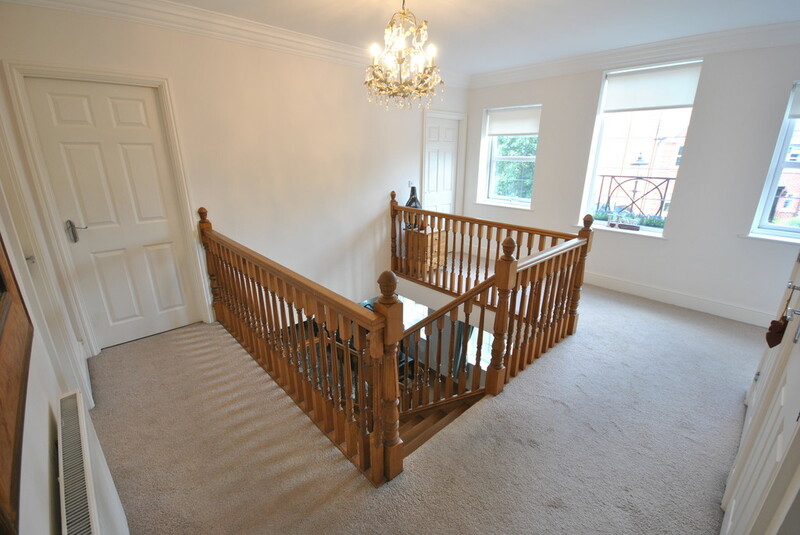 aerial point, radiator with thermostat control, and coving complements the ceiling. 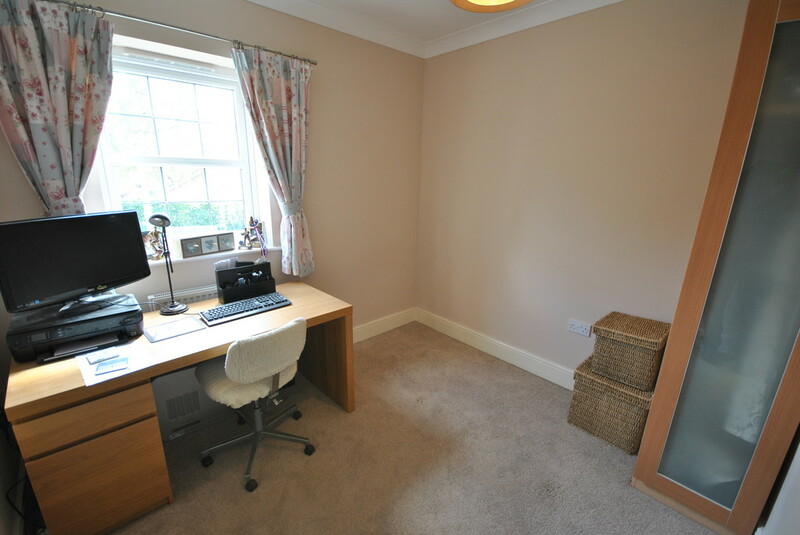 BEDROOM 5 9' 3" x 8' 7" (2.82m x 2.62m) This bedroom is currently being used as a study with a upvc double glazed window offering pleasant views of the rear garden, having various power sockets, radiator with thermostat control, and coving complements the ceiling. FAMILY BATHROOM 8' 8" x 8' 2" (2.64m x 2.49m) An excellent four piece family bathroom incorporating a deep side fill bath with chrome mixer tap and shower head, a separate mains fed shower cubicle with stylish wall tiles and chrome fittings, hand wash basin with pedestal and chrome mixer tap, and low flush w.c. 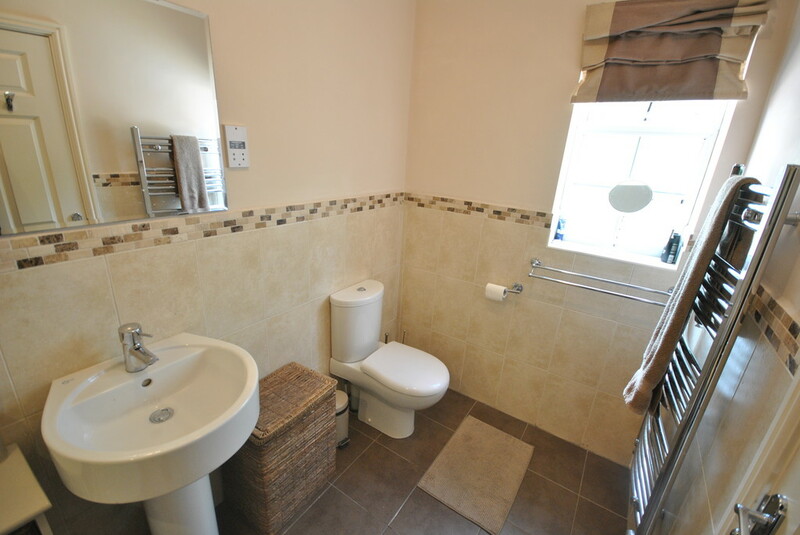 There is a chrome heated towel rail, shaving point, coving, matching wall and floor tiles and a rear facing upvc double glazed obscure window. OUTSIDE The Judges House resides along Foxwood Grove, a stunning and private development of just five exclusive individual properties. 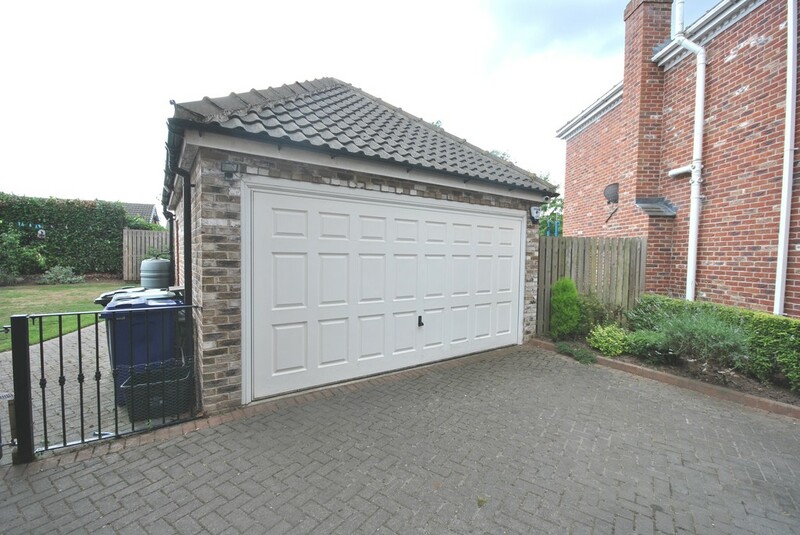 The property benefits from a large block paved driveway offering ample parking for a number of vehicles, with access to the main entrance door and double garage. There is some level shaped hedging, with a mixture of carefully chosen shrubs and trees. 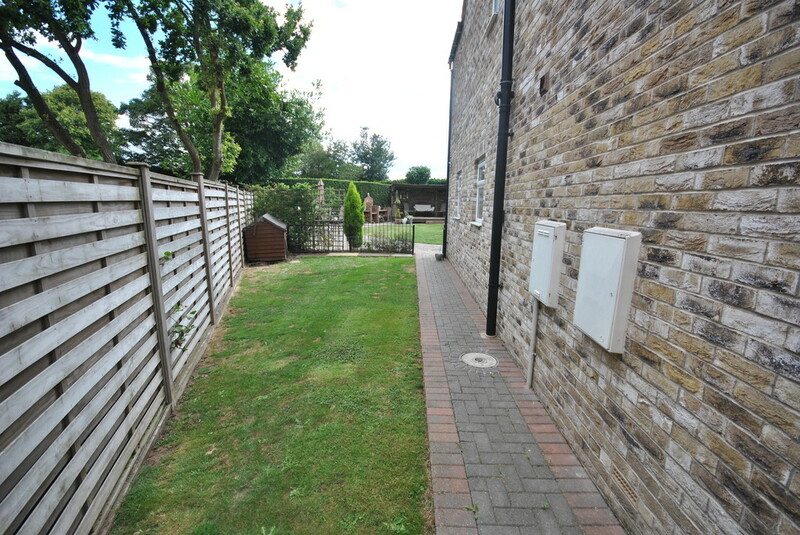 Black wrought iron gates to either side of the property lead to the rear garden. GARAGE A brick built double garage with a large steel up and over door. There is a side facing personal door, various power sockets and lighting, and CCTV. 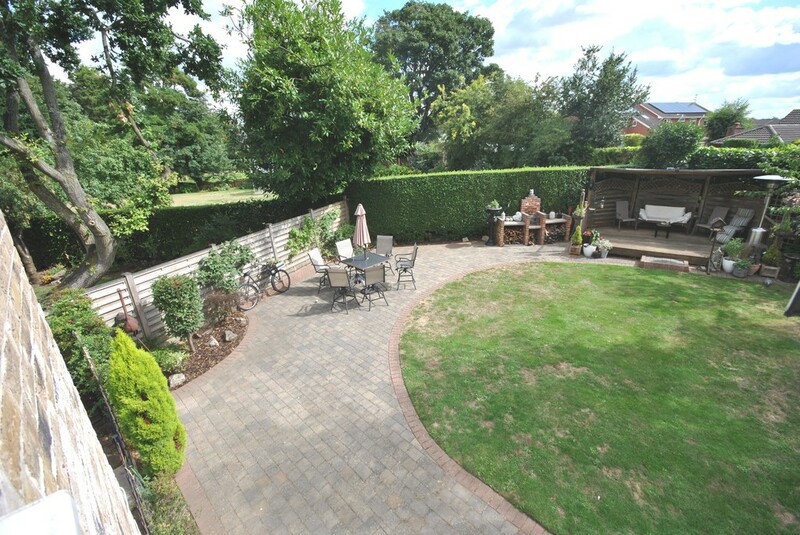 REAR GARDEN This large and very well laid out rear garden enjoys private settings and benefits from a block paved patio seating area which sweeps around to the brick built BBQ and log store. 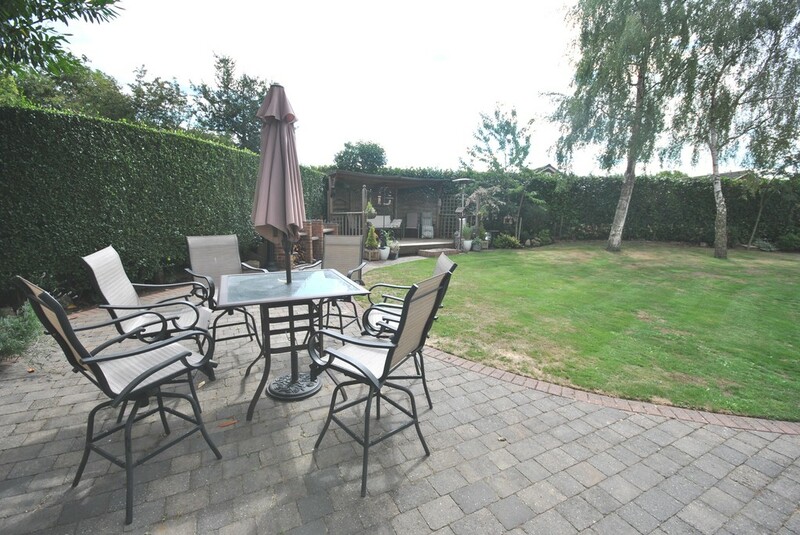 A decked seating area offers an excellent view across the rear garden (perfect for entertaining). 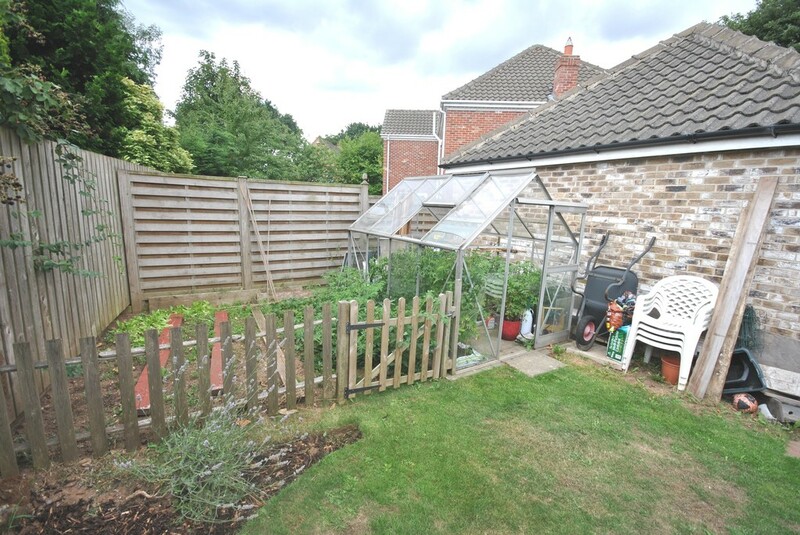 There is a shaped lawn with borders full of small trees, shrubs and flowers, and a small allotment to the rear of the garage.